Infant Sleep Machines Can Be Awfully Noisy Themselves : Shots - Health News Infant sleep machines, used to mask outside noise, can exceed recommended noise limits when played at high volume and placed close to a baby's sensitive ears. Noise machines to help infants fall asleep can be so loud that they pose a hazard, researchers say. About a year ago, pediatric otolaryngologist Blake Papsin went into a patient's room at The Hospital for Sick Children in Toronto. He was surprised by the roar of a sleep machine the parents had brought to help their child conk out amid the beeps and buzzes of the hospital. "I can't even talk to you. It's too loud,' Papsin remembers telling the parents. That chance encounter sparked his interest in measuring exactly how loud the infant sleep machines, designed to mask environmental sounds, can get. The answer: pretty loud. In research published online Monday in Pediatrics, Papsin and his colleagues report that at maximum volume, all 14 machines tested exceeded 50 A-weighted decibels, or dBA, measured at a distance of about a yard or closer. (A dBA is a unit of sound pressure adjusted to account for how the human ear actually perceives the sound.) All but one machine were capable of exceeding 50 dBA even from a distance of about 2.2 yards. At 50 dBA, more than an hour of noise exposure would exceed the recommended maximum noise level for babies in hospital nurseries and NICUs. Measured at a distance of about a foot, or about the distance from a baby to a crib rail, three of the machines produced sound exceeding 85dBA at maximum volume. That happens to be the recommended workplace noise limit for adults over an 8-hour period, which the researchers said may not be conservative enough given infants' developing senses. 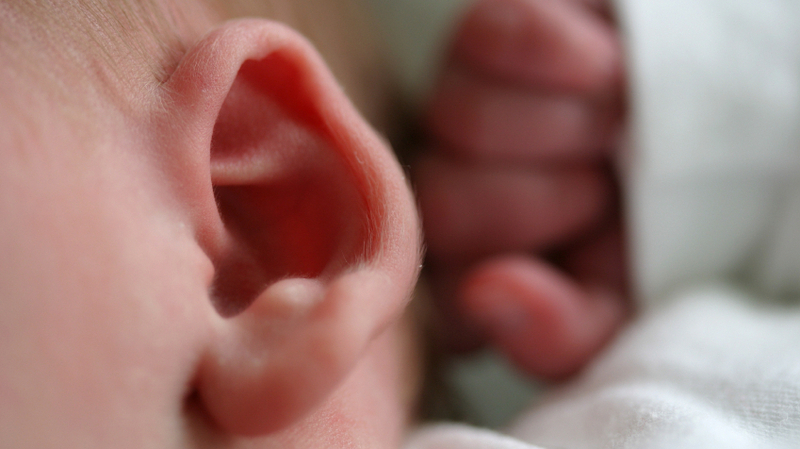 Exposure to loud noises can damage infant hearing and physiology, and background noise can disturb sleep, the researchers said. The study didn't look at how parents actually use the machines, so the volume and distance from the baby in the real world aren't known. And it's not known if babies exposed to the machines are actually experiencing damage, since no such large studies of those kids have been done. "The conversation we want to start isn't, 'Don't use these, they're dumb,' " says Papsin. But he wants parents to be aware of the potential risk. The researchers have advice for parents. If you use one of these machines, place it far away from the baby, never in the crib or on the rail. Keep the volume low and only use one of the machines for a little while, not all night. Papsin says parents can do other things to help their young kids get to sleep, such as installing carpet or double-glazed windows to cut down on noise. It wouldn't hurt to lower the TV volume either. The researchers recommended manufacturers limit the maximum volume of the devices, include noise warnings on packages and build a timer into devices that shuts them off after a set period. The trade group representing the companies that make the machines, the Juvenile Products Manufacturers Association, says in a statement that its members "welcome any and all information that will advance the safety and wellbeing of children. And the members apply that information, when applicable, in the safety and design of products."